We spoke to PADI Freediver Instructor, Daniel Bichsel about his freediving journey so far and how it’s shaped his life and beliefs. How did you get into freediving? Here’s the short version of a long story! As long as I can remember, I have been fascinated by the underwater world. As a child I started to inhale everything that was related to the underwater world and the ocean; books, movies, articles… Back then I didn’t know that I would use inhalation and deep breath to start exploring the ocean and lakes. This passion for the underwater world never left me and a couple of years after I finished my Masters in Biology, I went to Australia for a couple of years with the goal of exploring the underwater world. Just before I left, I attended freediving training in my hometown and I immediately knew that this was the way I wanted to interact with the ocean. It gave me the flexibility to dive everywhere, the ability to move without heavy gear restricting me, and to do so in total silence. 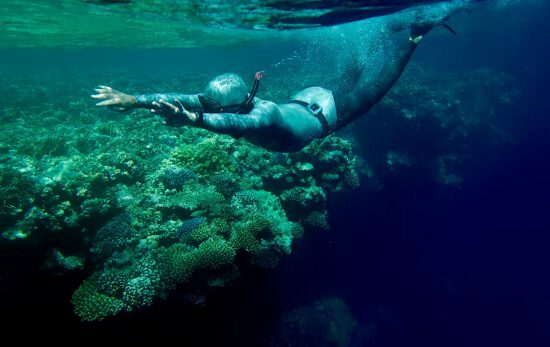 What I didn’t know back then was that freediving not only enables me to explore the depth of the oceans but the depth of my own being as well. Talk us through an average week of training for a freediving professional such as yourself. I usually start with daily breathing, yoga exercises and meditation in the morning. Visualisation plays a big role in my training as well. During the cold months I try to train in the pool at least three times a week. My pool training is mainly focused on movement, relaxation and bottom time. As soon as conditions allow it (I live in southern Germany) I try to be outside in the lakes and rivers as much as possible. 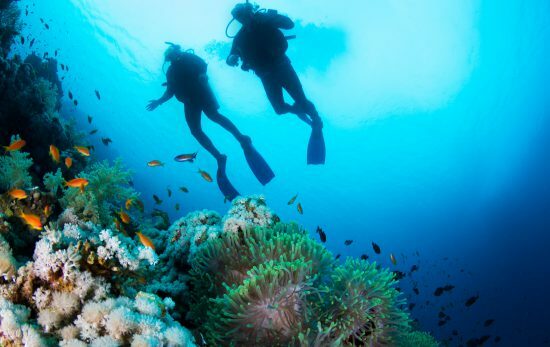 To explore the amazing underwater world and also for depth diving. I rarely focus on time, distance or depth when I dive. Freediving beyond numbers is where I find its true value and pleasure. 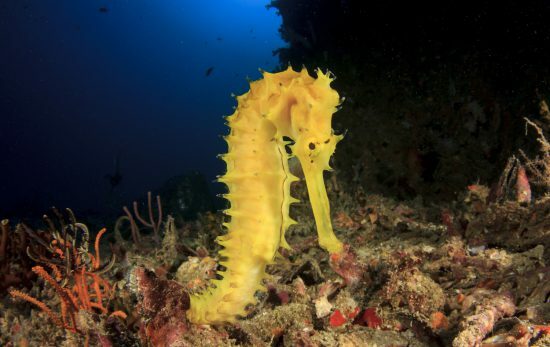 Has the diving world changed your view on conservation? Yes, a lot! Exploring Australia’s West Coast, where I had the pleasure to dive with whale sharks, humpback whales, dugongs and many other amazing species, had a huge impact on me. Experiencing the beauty of our blue planet is just amazing and once I had personal experience, there was no way back to the old thinking that we humans and the planet are separated. At the same time I experienced the dark side of “paradise”. I was exposed to ocean pollution, areas with almost no fish in them anymore, and the ongoing struggle to prevent off-shore drilling . All this sparked my passion to become an ocean conservationist myself. As a result, I initiated a regular river clean-up in my hometown and started to offer a monthly vegan sushi dinner to show people that there are delicious alternatives to consuming fish. 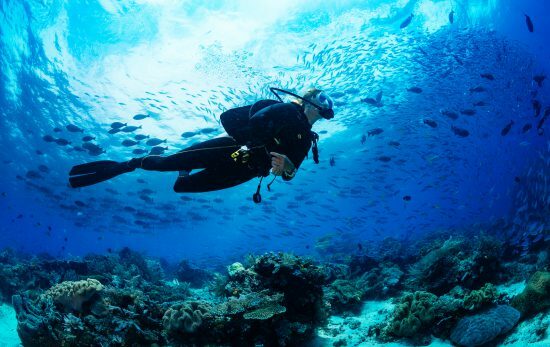 As divers we are especially aware of the need to protect the environment – how can we use freediving to educate and inform others? We can use freediving in several ways. The most beautiful way is to bring people closer to nature again, by teaching them how to freedive so they can explore the underwater world themselves. Beside freediving classes, I offer sustainable sailing journeys “Silence, Joy, Freedom” where we educate our guests and meet local conservationist during our journeys. 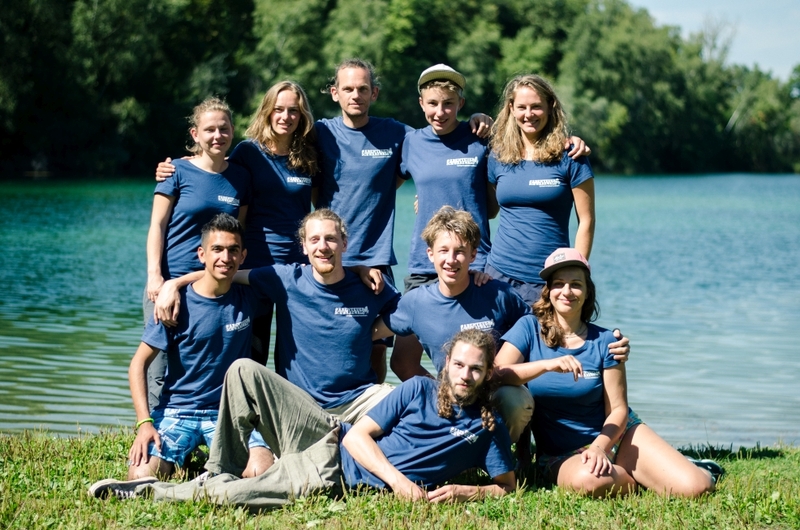 Another project I initiated is the multimedia and adventure program “Unterwasserwelten” (Underwaterworlds) for young adults that combines freediving with storytelling, filming and photography in my home region. With a group of 8 young freedivers we explore the lakes and rivers of our home region. We dive with a single breath and bring our experiences to the surface to create awareness for the underwater world. 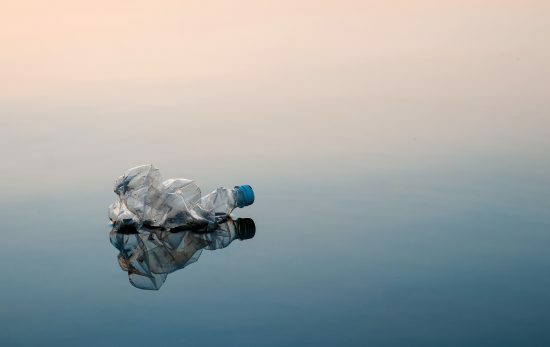 This is a project I would like to offer world wide, to create a network of young and enthusiastic ocean lovers and conservationists all around the world! What does MyPADI mean to you? 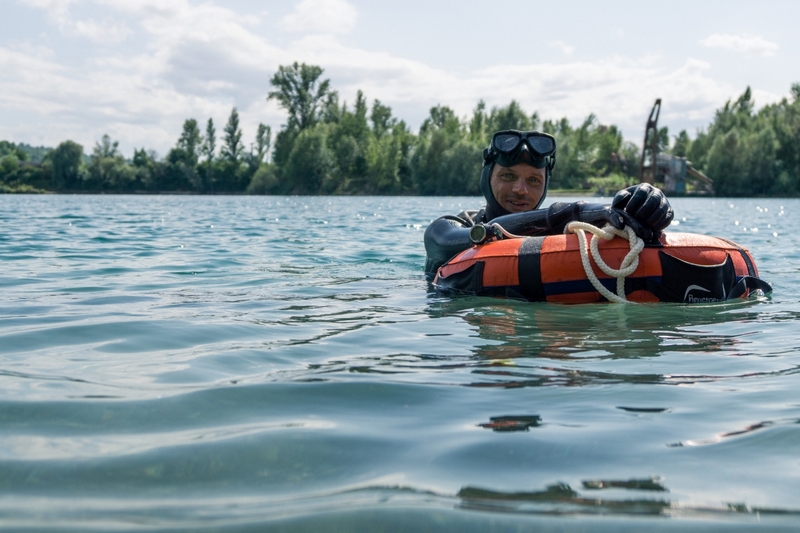 My PADI means an amazing support network for me as a PADI Freediver Instructor. It means to be able to teach people freediving in a very relaxed and fun way, far away from extreme achievements. 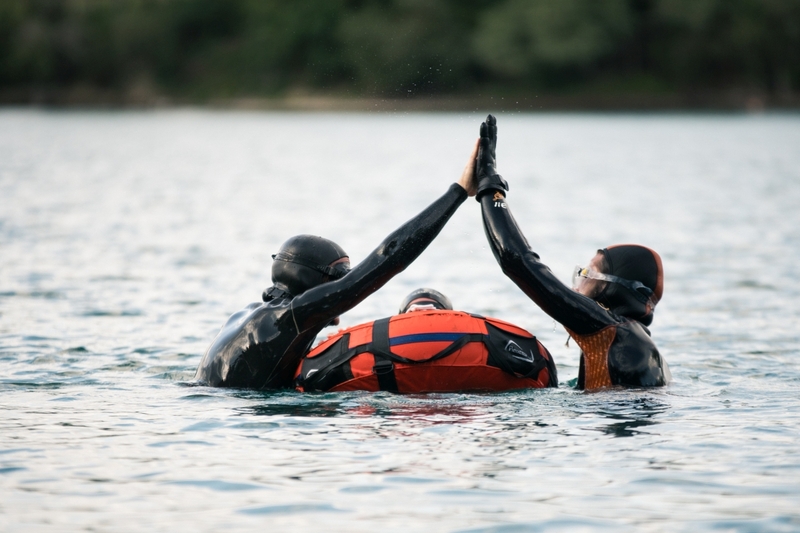 It means to be welcomed to a world of fellow divers. It means to share our water experiences together and make the world a better place each single breath of air.